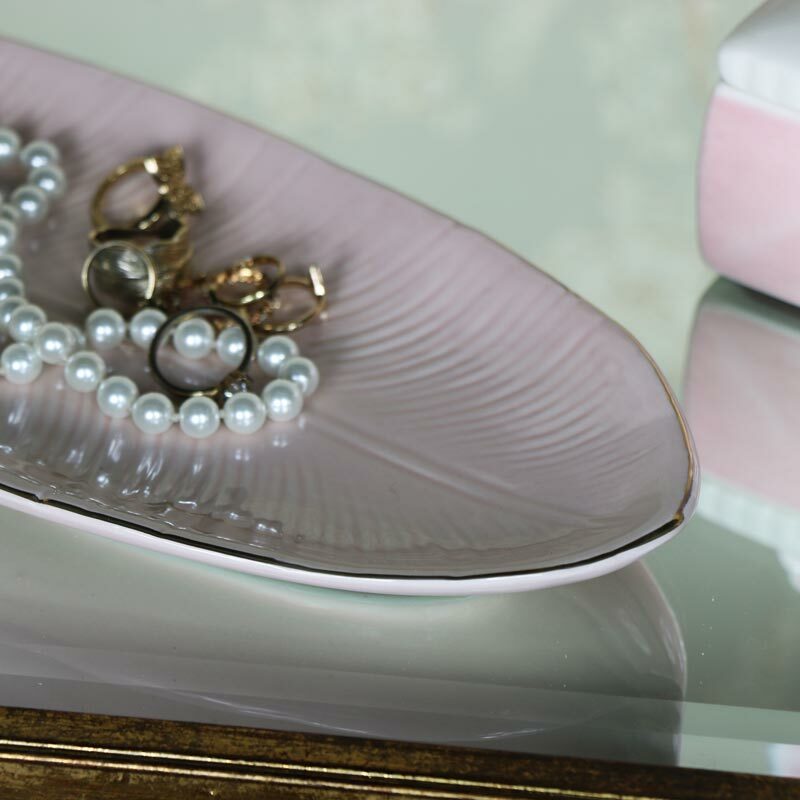 A pretty pink trinket dish in the shape of a feather. Perfect for holding your rings, things and little trinkets. Pink with gold edging in a feather shape. This would make a pretty accessory for a girly bedroom and boudoir. Handcrafted design, this would look beautiful sat on a dressing table in a bedroom or on a sideboard or shelf in the living room. Also available in a smaller size. 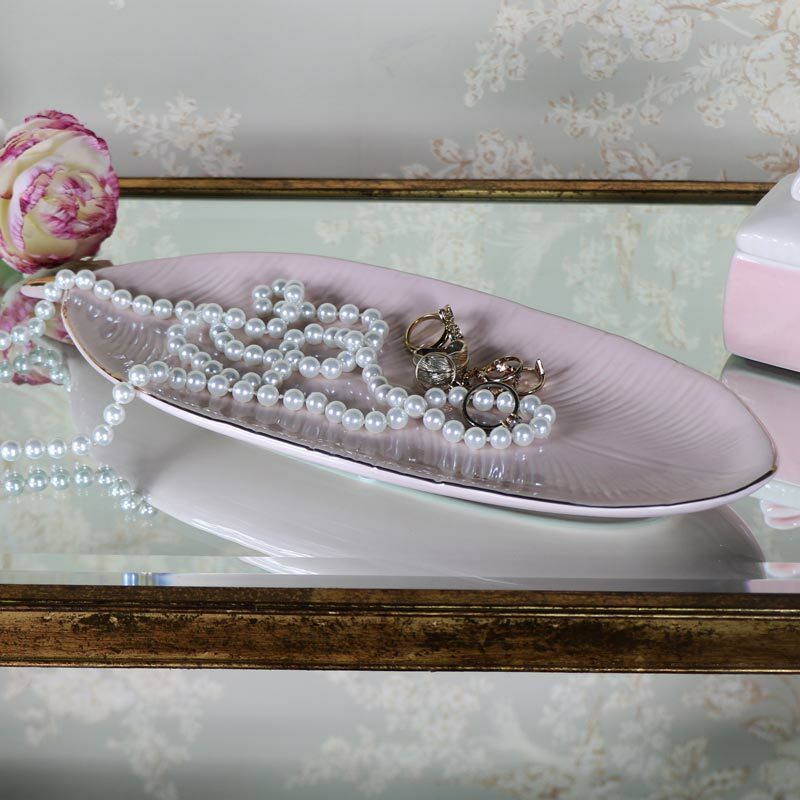 A pretty pink trinket dish in the shape of a feather. Perfect for holding your rings, things and little trinkets. Pink with gold edging in a feather shape. This would make a pretty accessory for a girly bedroom and boudoir. Handcrafted design, this would look beautiful sat on a dressing table in a bedroom or on a sideboard or shelf in the living room. Also available in a smaller size. Carved feather design made from ceramic in pink and gold with a glazed finish.